Growing up can be challenging, but the world is a fascinating place. We want your child to discover the world around them through creative exploration. We work with your child to further develop social skills, imagination, small and large motor skills, self esteem, and we begin academics. This is easily one of the best times for your child in their education career. 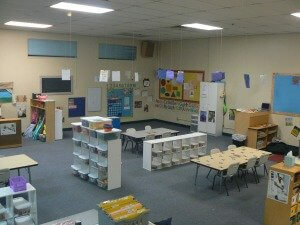 Something Extra Preschool & Childcare offers many fun and exciting preschool activities. We work to build skills in areas like the recognition of shapes, colors, names, letters and numbers. We also focus on strengthening small muscle groups to increase success when writing is introduced. Our team is working hands-on with your child daily to help them create a life-long love of learning. These formative years are crucial for your child and we want them to look forward to joining us at school. We bring a fun and exciting environment that helps your child thrive! We believe your child gains knowledge by active exploration - active play in areas that interest children. We want children to feel wise, thoughtful, and reflective. Their senses and observations continue to grow at the preschool level, and we always encourage that growth. Our comfortable learning environment lets your child grow individually and become a great thinker.